Wondering where to go for a beach vacation in Maryland this summer? 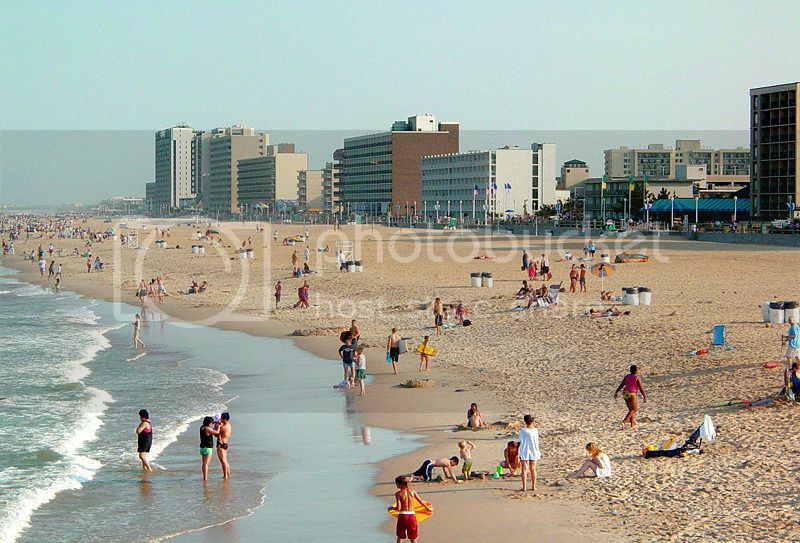 Ocean City Maryland (or OCMD) is without a doubt, home to some of the best beaches in Maryland for a beach vacation. 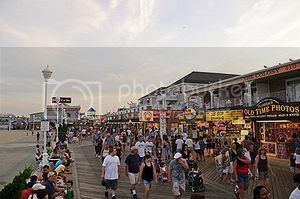 Ocean City beaches rank similarly to vacation spots in New Jersey Shore such as Atlantic City so, you can expect to find a ton of amenities like hotels and beach rentals. Ocean City MD is truly an amazing beach destination for a week long vacation with the family, or weekend getaway for couples since there are also lots of fun things to see and do in Ocean City Maryland besides surfing, swimming and boating. You can visit Marty’s Playland and Jolly Roger amusement parks, and Oceanic Fishing Pier for a bit of pier fishing. The Ocean City Life-Saving Museum is also worth checking out, and of course Ocean City Boardwalk. Assateague Island State Park Beach is no doubt, one of the best beaches in Maryland nearby Ocean City where you experience the outdoors. You can enjoy everything from bird watching and camping to kayaking and surf fishing, as well as walking your dog or pet. If you’re a nature lover and want a quite beach spot, Assateague Island State Park is definitely a great spot, and the best thing is that you’re only 20 minutes away from Ocean City beaches and attractions. 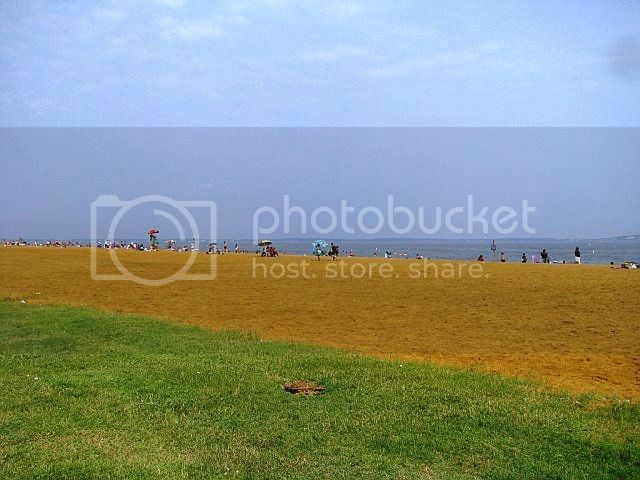 If you’re looking for a fun but relaxing getaway with the family, Chesapeake Beach is one of the best beaches in Maryland for an old-fashioned type vacation. Chesapeake Beach town boasts charming antique and boutique shops, as well as spa hotels and a shopping center. There is also a water park (Chesapeake Beach Water Park), a railway museum (Chesapeake Beach Railway Museum), and a recreational park where you can do picnicking and biking. Another of the great things about Chesapeake Beach is that it’s located on Maryland’s western shore so you're only an hour’s drive from downtown Baltimore and Washington DC. Sandy Point State Park Beach is about 10 minutes drive from Annapolis and it’s another nice beach spot in Maryland that does not get overly crowded even during peak season. 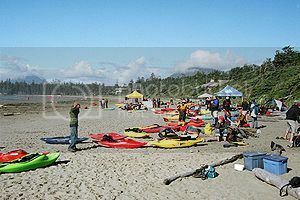 Sandy Point Beach is an excellent beach for families with little kids, and anyone looking to enjoy a relaxing time. There are a few other beaches closest to Baltimore, though Sandy Point Beach is one of the best beaches in Maryland for a beach vacation near the capital. Tilghman Island is located in Easton on Maryland’s eastern shore and it’s one of the best beaches in Maryland for a quaint vacation. Tilghman Island is a beautiful fishing village that boasts an amazing shoreline, and it’s an excellent spot for water sports and fishing enthusiasts. If you're a sports fishing aficionado will absolutely love it in Tilghman Island since you’ll be able to hire fishing boats for a day of deep-sea fishing or off-shore fishing. Another great thing about Tilghman Island is that it’s only a short drive from Easton which has a lovely downtown area filled with nice shops and restaurants. Breezy Point Beach is undoubtedly, one of the best beaches in Maryland for having a good time, especially during the Fourth of July celebrations. Breezy Point Beach has about a half-mile of shoreline that is used primarily for camping on the beach and it’s a popular spot with the younger crowd, though Breezy Point Beach is also a popular spot for families since there are plenty of shaded and picnic areas. If you love boating, Breezy Point Beach is also a great spot since Breezy Point Marina is just adjacent.